We will make every effort on Your First Visit to make you feel comfortable and to explain what we are doing. We realize that many New Patients have never been in a Chiropractic office before and may be apprehensive about what to expect. The first step will be a Consultation with the Doctor followed by a thorough Chiropractic Examination including Spinal, Orthopedic, and Neurologic testing. 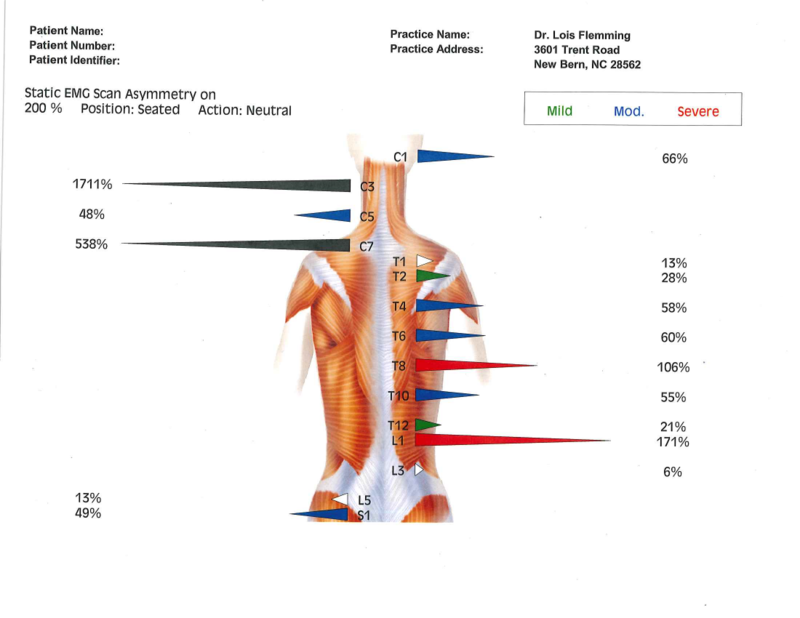 This enables us to determine the cause of your problem and whether chiropractic care can help. It also gives us a picture of your overall health. We will utilize the latest in computer technology to locate problems with your spine and their adverse effects on your nervous system. These diagnostic tests include a Surface Electromyelogram (sEMG) and Digital Thermography. Both are state-of-the-art and both are completely painless and non-invasive. 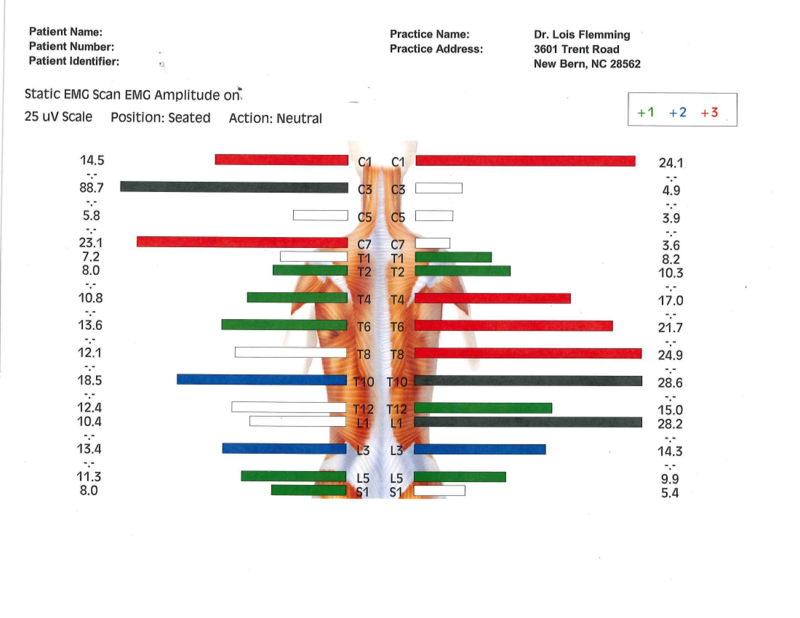 These tests specifically measure Nervous System interference caused by Spinal Subluxations. In this way we know how your body is functioning in addition to how it feels. These also provide objective follow-up assessment of your care so we will be able to monitor your progress. If we determine that X-rays are needed, we have state-of-the-art equipment that minimizes radiation while still providing us with essential information about the health of your spine. At the end of the testing, we will schedule a time for the Doctor to sit down with you and explain all of the Examination Findings and our Plan of Care. Meanwhile, if treatment is indicated, we will begin care on this visit. Our initial focus will be to provide you with some relief from your symptoms. We will also send you home with instructions on how to maximize that pain relief. This initial visit usually takes 1 1/2 hours so please leave adequate time for us! The reason we get such excellent results in our office is because we carefully assess and treat the Cause of your problem and not just your Symptoms. In order to help your first visit run smoothly, please print and fill out the following documents and bring them with you to our office. It'll save you about 20 minutes on your first visit.